The first ever physical bitcoin store is open for business in Hong Kong. The Chinese retail shop opened its doors on February 28th of this year, and allows for the sale of the digital currency. Located in the western district of Sai Ying Pun, the 40-square-meter shop operates through the Asia Nexgen Bitcoin Exchange. 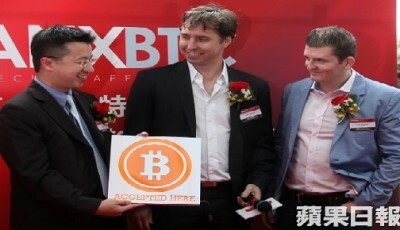 The bitcoin exchange contains a money service operator license from Hong Kong’s customs and excise department. 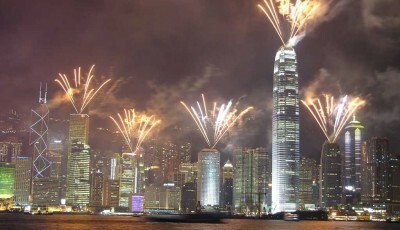 Bitcoin is seen as a commodity rather than a currency by the Hong Kong Monetary Authority. In turn, the exchange company can accept bitcoin as commodities, but not as currencies. Customers are required to show ID and proof of address before making any transactions using their digital wallets. This helps to excuse money laundering rules while simultaneously allowing customers to comply with customs. After the ribbon-cutting ceremony, the shop already had its first customer. According to Coinbase, the customer spent $HK100, equivalent to $12.90 US to buy 0.022 BTC. Coincidently, the shop opened up the same day Japanese bitcoin exchange Mt Gox was forced to file bankruptcy protection. The Japanese exchange lost 850,000 bitcoins after it was struck with an alleged theft. Lo remains confident that Mt Gox’s struggles won’t effect the rest of the bitcoin market. He says that the exchange’s ordeal is only “a drop in the bucket” and that there is no “shortage of demand” for bitcoins. After the collapse of Mt Gox, Chinese bitcoin investors showed their frustrations and concerns over the bitcoin market by taking to social media sites. Bitcoin’s liability has been brought into question, and some Chinese bitcoiners felt that disaster had struck the digital currency market. Demands from Chinese government officials told merchants to not accept bitcoin for payment, and that goods and services could not be priced using the digital currency. What makes some investors feel even worse is that their government was right to some extent. There are risks in bitcoin. Investors who defied China’s bitcoin ban looked to prove their government wrong. Though Mt Gox failed, they still have the opportunity to prove how valuable bitcoin is. Asia Nexgen can be the boost investors need to stick with the digital currency. Mt Gox may have fumbled, but that doesn’t mean everyone else will. 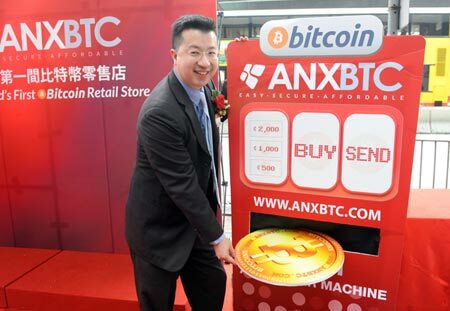 The Chinese bitcoin exchange has already made their mark, being the first bitcoin exchange to make their presence felt in an actual storefront. In time, Mt Gox may be seen as just an obstacle bitcoin had to overcome, rather than where its downfall began. The opening of the bitcoin store shows that bitcoin is still progressing forward. For more bitcoin news, stay tuned to Coinreport.net. MtGox’s Malware Email Scam: Be Careful! Decentralized, Centralized, Partial, Complete Consensus …or Something.